Are you offering Free or Paid resources to you visitors on your WordPress site? In this write up you will find a great way that will help you to setup a system, with a tweet button which requires your users and readers to tweet about your website before downloading the content. This is something very useful and productive especially when you own a site, from which people can download and upload files. This is a proper and legal way to get free publicity across one of the biggest social networks. Another advantage is that most people have connected their Twitter account with their Facebook account so automatically when they tweet about your site, their Facebook status also gets updated and in short, you get double publicity. Isn’t it awesome? If you are a newbie to Twitter, following is the complete and excellent explanation about Twitter “Complete Guide to Twitter”, Free download just simply signing up to our newsletter. How to get the Twitter button? You can get the pay with a tweet button up and running by just downloading and installing a WordPress Plugin on your site from the WordPress dashboard. Half of the work is done here. This plugin does not need services of others, unless of course Twitter. 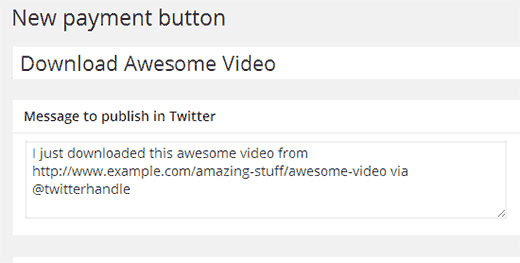 Create buttons so that your visitors can download files after posting on his twitter the message you choose. You can display different buttons using shortcodes or the widget included. Lots of plugins and scripts allow you to implement Pay with a Like, or Pay with a Tweet, but some of them are not flexible and they do not allow for total customization. Small code modifications enable the user to edit everything inside. For a WordPress site, though, you need dynamic content and you need to be able to display the social payment module just by adding a simple shortcode. The Social Payments plugin for WordPress allows customization of Facebook page, Google+ page, Twitter text, link and hashtags details. It also uses HTML5 version of all social scripts and very clean source code for theme compatibility. If you have a blog that provides downloads, this plugin is the perfect twitter marketing tool for you. Tweet2Download allows you to require a tweet and a follow in exchange for a download or a content snippet on your blog. It effectively asks your users to “pay” with a tweet for free content on your blog, making it a very powerful viral marketing tool. The plugin is well suited for blogs that offer music, videos, tips & tricks, ezines, software, code, design creatives, tutorials, torrent files, download links or any kind of downloads/content for that matter. The configuration of one the above WordPress plugin has to be done manually. It is not a very hard task, but you’ll need to read this article to get done with this carefully, and also hard work always pays in the end, am I right? You have to create a twitter app and then you will get a secret key and consumer key both of which will be entered in the plugin configuration page from your WordPress dashboard. How to create a Twitter app? First, go to Twitter Developer site and if you already have a twitter account then login in using your Twitter login otherwise you will have to make a new one. After you have logged in to your account, on the bar on top click on your name and a drop down menu will appear having a “my applications” tab. Click on the tab and then click on create a new application. Now you would see a new application form, fill in the details which are asked. Give a name to your application; it can be any and a description too. Then enter you website URL on which you have to put the pay with a tweet button. In the callback URL, add the URL which is provided by the pay with a tweet button. Finally, you have to agree with the terms and conditions and press the “Create your Twitter application”. The application is now created and you will be redirected to the dashboard area. Change the access of your app to read and write. 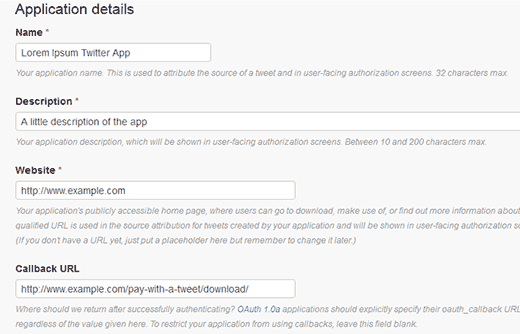 Save your app, and click on OAuth to see your secret key and consumer key, copy these keys and paste it into your plugin. 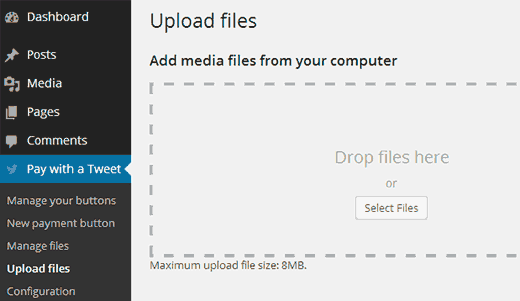 Go to upload files tab and upload the file which users will be able to download after tweeting. The uploaded file can be managed by going to the manage files tab. Go to the new payment tab and enter the title following by the tweet you wish users should send, when the button is clicked. Now add an image to use for the button and select the file which would be downloaded by the user, then click on create payment button to make it work. All the hard work is done, you just have to copy the shortcode generated by the pay with a tweet plugin for your button which is beside your button in the manage buttons tab. Just paste this code on and page or post and after publishing it, you will see your pay with a tweet button up and running. 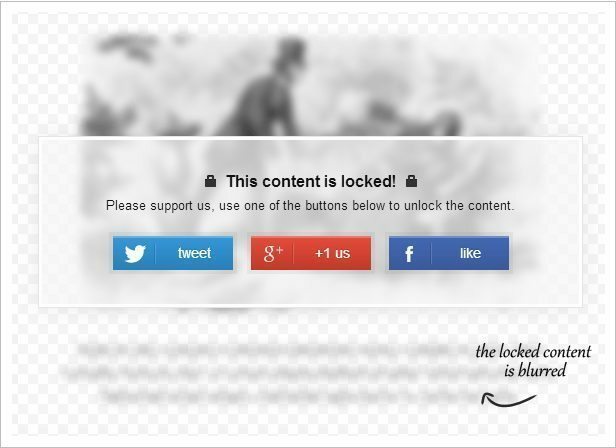 It wasn’t too difficult to add this amazing feature to your site, eh? If you have face any problem for setting up a Twitter application specially required for developing help it to work within a WordPress, do mention it in the comments or ask on WPArena’s Twitter page, and I must get back to you as soon as I can.